According to two separate reports in The Detroit News, the National Highway Traffic Safety Administration is launching investigations into 550,000 Pontiac G6 (pictured above) and 320,000 Honda Odyssey (pictured right) models. The G6 models are all from the 2005 to 2007 model years, while the Odyssey minivans are from the 2003 and 2004 model years. The two NHTSA probes are not related. In the case of the G6, this is an upgrade to an original investigation that started in February after NHTSA received “hundreds of reports” that the brake lights on these cars may malfunction. According to The Detroit News, the lights may come on when the brake pedal is not depressed, and likewise, the brake lights may not illuminate when the pedal has been pushed. General Motors was able to provide NHTSA with a significant number of warranty claims, including 1,100 reports that could potentially relate to this problem, one of which indicates a vehicle crash. For Honda, the NHTSA probe concerns airbags that may deploy unexpectedly. 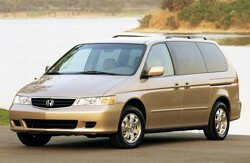 The government agency received six complaints from 2003-04 Odyssey owners saying that the front airbags suddenly went off without a crash. The Detroit News reports that three of the six owners sustained injuries from these incidents. Additionally, NHTSA has received 41 complaints from owners saying the vehicle’s airbag warning light had illuminated. Both of these vehicles may face recalls pending the outcome of these investigations. You can read the full G6 report here, and the Odyssey report here. 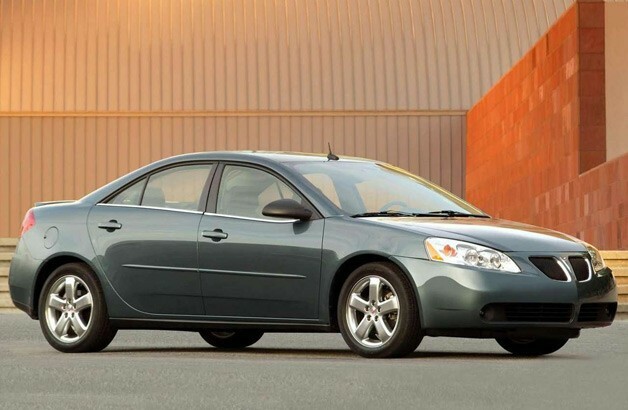 NHTSA investigating 550k Pontiac G6 models, 320k Honda Odysseys originally appeared on Autoblog on Mon, 10 Jun 2013 11:30:00 EST. Please see our terms for use of feeds. This entry was posted on Saturday, June 29th, 2013 at 1:19 am and is filed under Mini Bus Hire. You can follow any responses to this entry through the RSS 2.0 feed. Responses are currently closed, but you can trackback from your own site.